Candle tarts are fun and trendy! They are little scented wax shapes that melt on a candle warmer. And fill a room with a wonderful smell! Making candle tarts is a great idea for gifts since you can make them in batches. Plus they are so cute! We used a silicone candy mold for ours and there are so many great shapes to choose from. So let’s make some candle tarts! We made a video to go with this project, so you can follow along with us, then make your own! We’ve got the complete instructions below. 1. 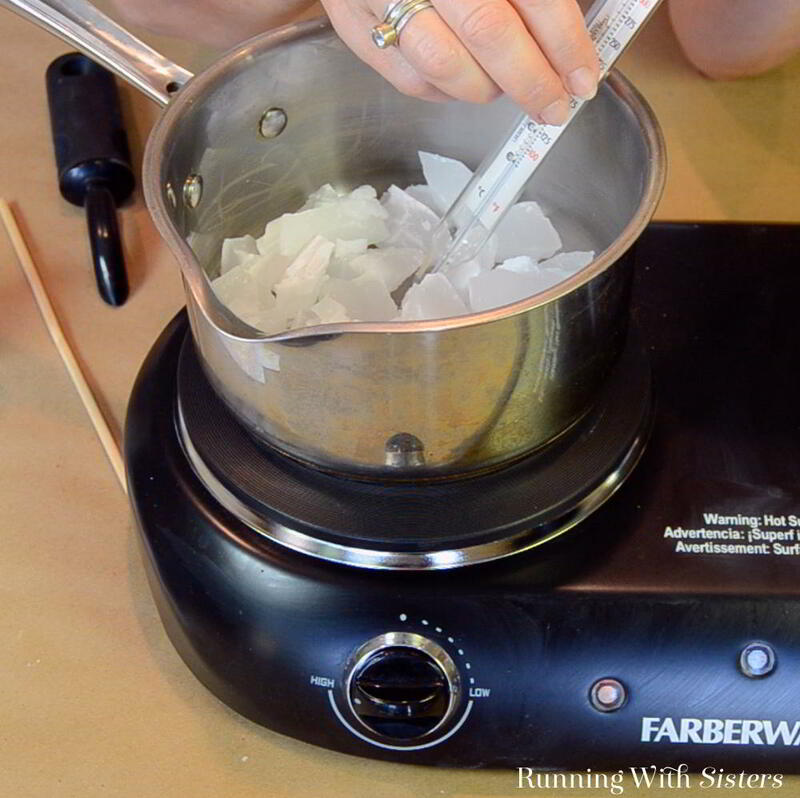 Weighing The Wax: To do this, place the mold on the scale and zero it out. (Or write down the weight of the mold to subtract from the weight when filled.) Fill the mold with water and weigh it again. This is approximately how much wax you will need. Chop the candle tart wax into small chunks with the hammer, chisel, and cutting board. Weigh out the wax, then add 2 extra ounces to account for spillage, shrinkage, and whatever sticks to the pan. Add one teaspoon of the liquid candle scent to the melted wax and stir. Shave off a few carrot curls of the yellow candle dye using the potato peeler and add to the wax when the wax is 175°F. Stir with chopstick. Drip a few drops of melted wax onto the white index card to see if the color is to your liking. Add more color if desired. 3. 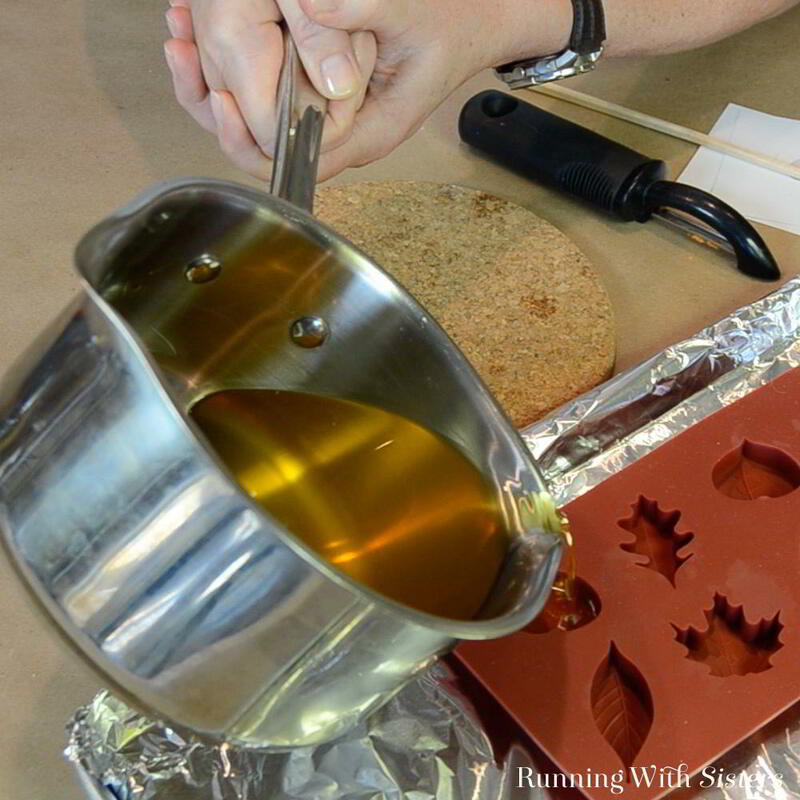 Pouring The Wax: Pour the yellow wax into two or three of the leaf molds. 4. 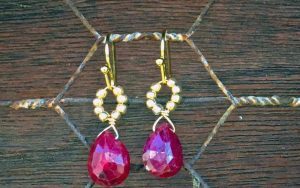 Repeat the dyeing process to add a little red dye to the yellow wax. Test the color to see if it appears orange. 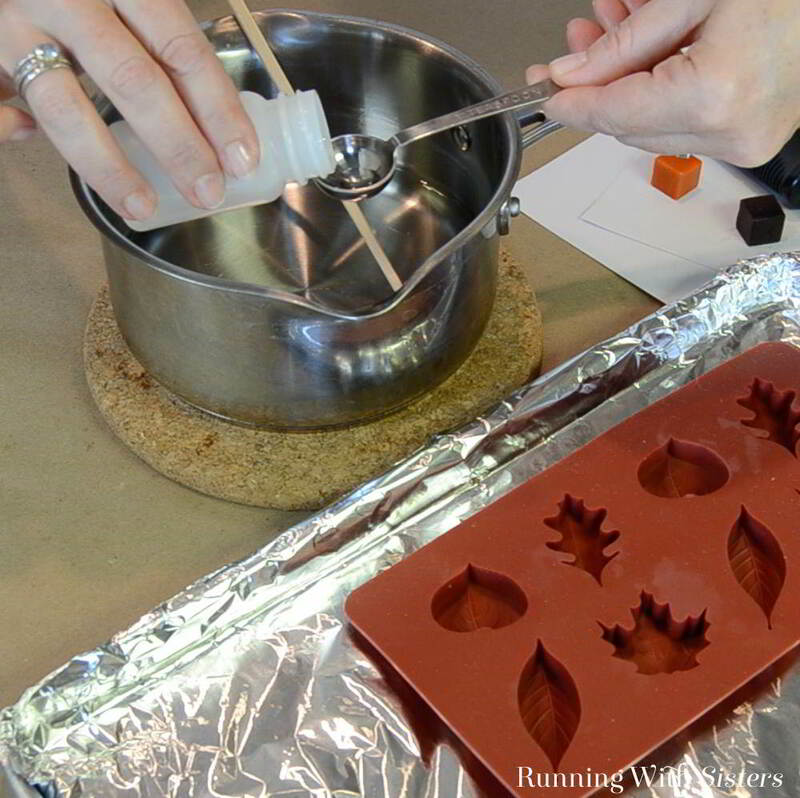 Pour the orange wax into two or three of the leaf molds. 5. Add a little more red to the melted wax. Test the color to see if it appears red. Pour the red wax into the remaining leaf molds. 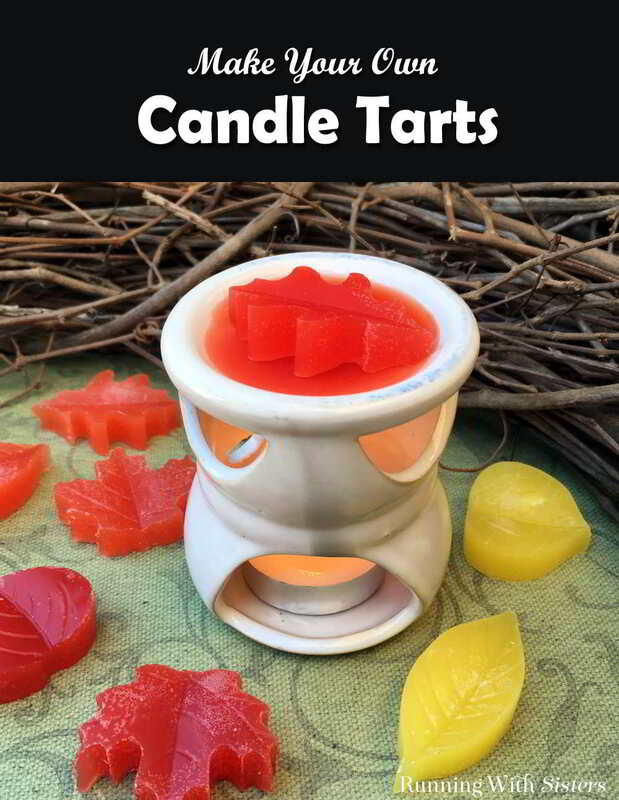 Let the leaf candle tarts cool on a level surface. 6. Unmolding The Tarts: To unmold the leaf candle tarts, turn the mold upside down and push the back of each leaf. (The silicone mold will rebound just fine so you can reuse it.) If the tarts do not release from the mold, refrigerate for 10 minutes. They should slip right out. 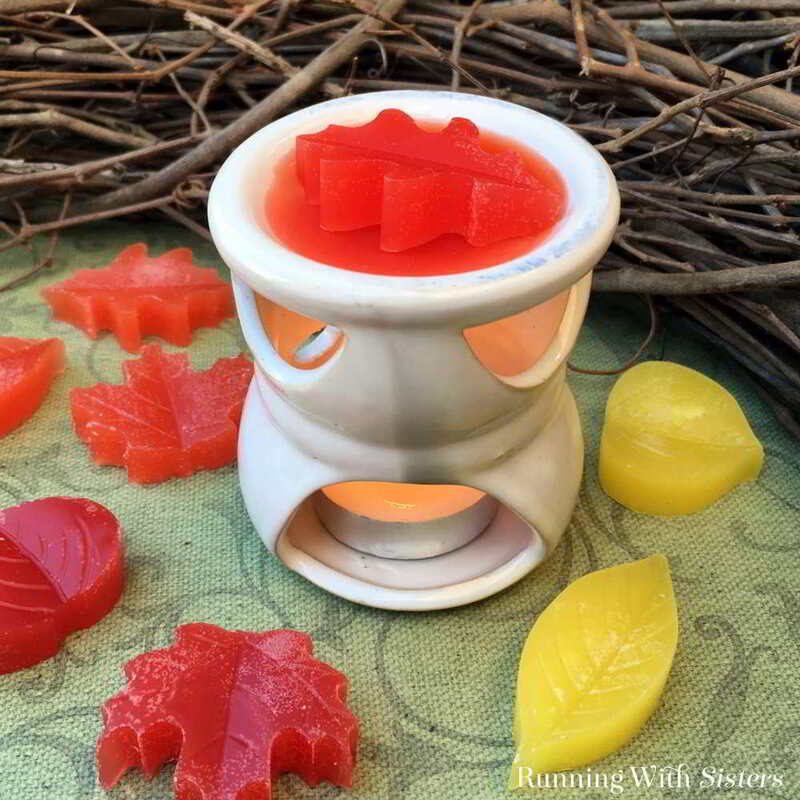 Melt your leaf candle tarts on a candle warmer to release the scent! 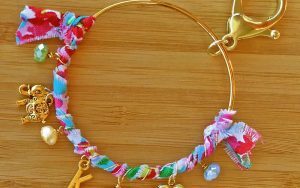 This is a great craft to make for gifts! We like to stack one of each leaf color in a cellophane bag. We tie a little piece of raffia around the top of the bag. 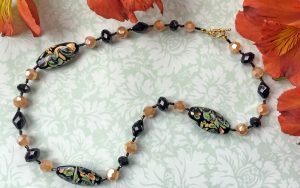 It makes a very pretty handmade gift! Have you ever made candle tarts? Do you have any tips to share? Leave them in the comments below! We’d love to hear from you! I love this idea! Where do you typically buy your molds? Do you or can you use essential oils to scent the candles? Hi Pam! We collect cool silicone molds whenever we see them. 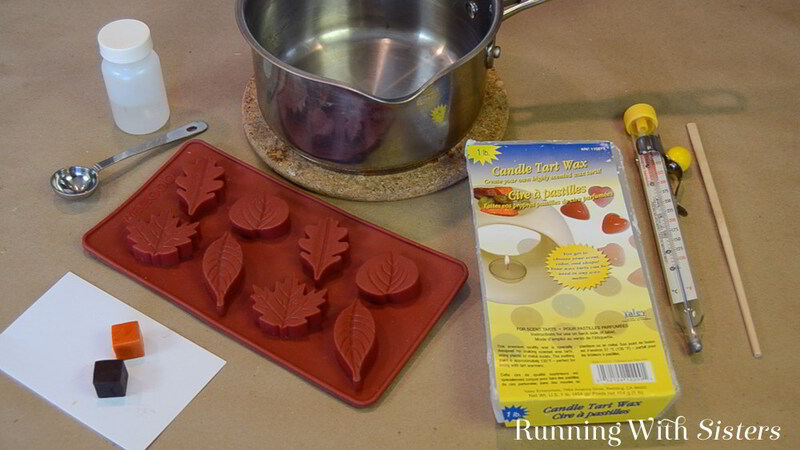 These leaf molds were from Amazon, but we also find them in the cake section at Michael’s. You can use essential oils to scent the candles, but sometimes you need a lot of scent and the fragrance oil is just plain cheaper per ounce. Really, really neat. Love the different color leaves and perfect for this season for sure. Would love to use this as a home project . Thanks Sandy! 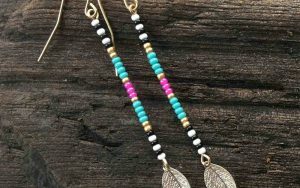 They are really fun and easy to make! These are so awesome and such a great idea. I have never seen these made before. Aren’t they fun? And you can find so many shapes to make! Such a lovely idea and home made is always from the heart. Love that! Home made IS from the heart! It is a really fun craft, Betsy! I was wondering how to make my own tarts. 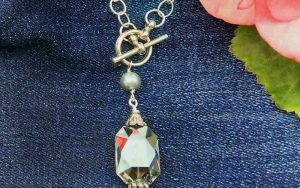 I think I will try to make a few for myself and maybe even for a few gifts. Thanks for sharing. They are really fun and easy, Michele. Go for it! Where do you get your fragrance oils to put in your candle wax tarts? I haven’t had any luck finding any. I would also like to mix some scents together to create another scent. Have you tried this? If you have, do you have ideas on what fragrance oils to mix together, and how many drops of each scent to mix together? 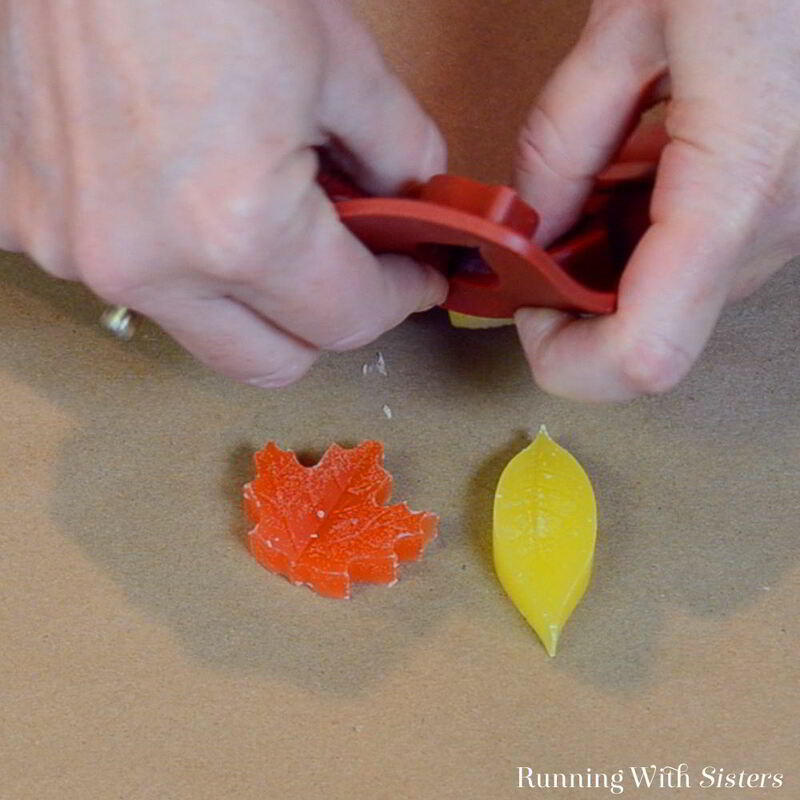 cant find how to pin you cut, nice fall candle leaves. is there? We have a pinnable picture of the candle tarts at the bottom of the page. Hope that helps and thanks for pinning us!